0.5 lb. 1 lb. 3 lb. 50 lb. $2.99 to $169.99 & FREE Shipping on orders over $59 $35. Dried Malt Extract (DME) is the primary sugar source in extract brewing and can be used in partial-mash or all grain brewing to adjust flavor, color and gravity of brews. DME can also be used to increase head retention and body. 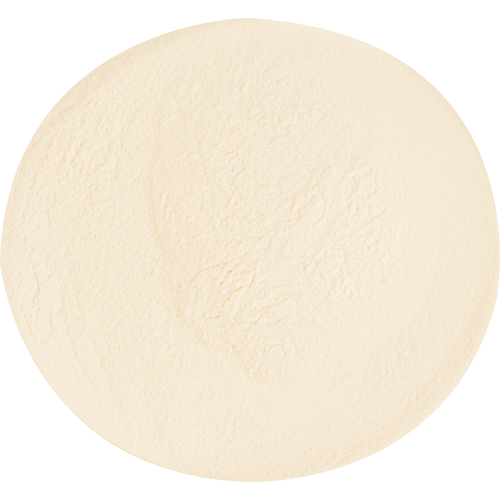 Many brewers choose nutrient rich DME as the sugar source for making yeast starters as well. Briess dried malt extracts are made from 100% malt and water. 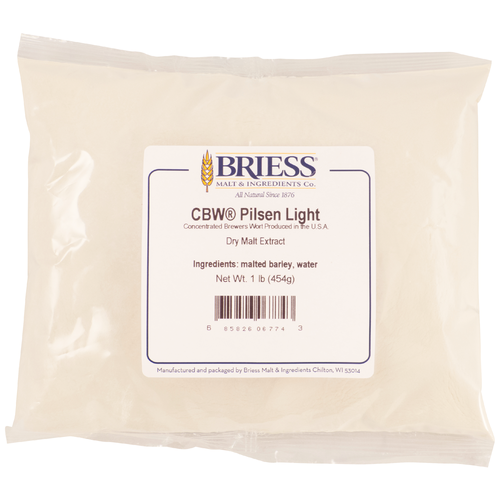 Pilsen Light is the lightest DME available from Briess. With a subtle malty flavor, it can be used in the production of any beer style, either as a base or to boost gravity. Click on the documents tab for full product specifications. Stainless Steel Brewing Spoon - 21 in. I like to use this for my base malt. I like working with DME over LME. A personal preference perhaps but I feel it comes out better. I find DME to be an easy and quick way to make great tasting braggots. Playing around with malts in some recipes. New to me. Gotta keep some of this on hand for gravity corrections..
because I brew a lot! Great malt. Exactly as described. I use this in place of corn sugar for carbonating my beer. I use 3/4C malt to 2 cups boiling water. Boil 5 minutes then add to the wort immediately. Stir for a minute and fill and cap bottles. Sample after 21 days. Nice and light, just what I wanted. Only used for yeast propagation; I need to try brewing with it. This is my go to DME for Yeast Starters. I purchase only one type of DME to simplify things and since this is the lightest SRM DME MoreBeer has it seemed a no brainer. It doesn't change anything color-wise on either a light beer or a dark beer when you pitch your Yeast Starter. This always seems fresh and is simple to use. I’ve used this product for yeast starters, standard saisons, brett saisons, and American wild ales. It produces a great backbone for any beer and mixes easily for making starters. With a little creativity you can use this one product to make a myriad of different beers. This stuff is pure 100% Bavarian White. Garrentteed to make your yeast starter primo. Perfect for making yeast starters. Great to have on hand all the time, used mostly for starters and late kettle gravity adjustment. Would not be without it. It works great for a yeast starter. I use this DME for all of my Lager starters! I brew mostly belgian style ales but my mash tun is limited to about 10 pounds of grain. My process could be described as "Mostly Mash" and I use this product to hit the higher required SGs of 1.060+. I've brewed 30 to 40 batches using this product and have been very happy with the results. My go to DME for yeast starters has never failed me yet! I love this stuff because it the only dry extract I have ever found that actually produces a pale wort. It is perfect for making yeast cultures.